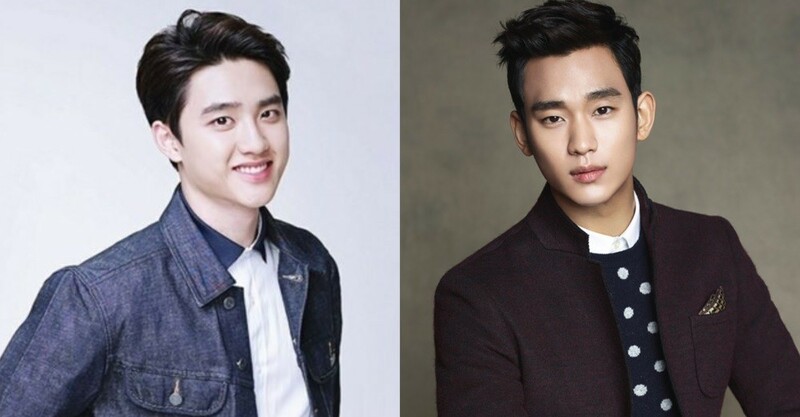 EXO's D.O responded to his label as the "next Kim Soo Hyun." At the press conference for EXO's upcoming 5th album 'Don't Mess Up My Tempo', D.O commented on wrapping up the tvN drama '100 Days My Prince'. He expressed, "It's now come to an end, and I'm very thankful to everyone because it's had such a great result. I want to tell those who enjoyed the drama thank you. I did my best and lied when I was really tired, and I really worked hard. That makes me all the more happy about the great result." On being referred to as the next Kim Soo Hyun, the EXO member responded, "That's just so ridiculous. I'm thankful to even have an association like that. I really worked hard, and I'm sincerely thankful that so many people enjoyed it. I'll do my best in the future as well. Please look forward to it. Thank you." EXO's Xiumin also revealed he was a fan of '100 Days My Prince', saying, "In the beginning, I felt really bad seeing D.O. so uncomfortable. He's such a good actor, and the drama was so fun. I watched a few episodes as soon as it aired, and if I missed it, I watched a re-run in the early morning. He's someone who lands in the top 5 actors for me." Baekhyun added, "D.O. was so cute. He was wearing the prince's clothes, and I thought his eyes looked so adorable. As I watched, I knew he was a good actor, but it was also cute. I think maybe even more people enjoyed it because of that." In other news, EXO's 'Don't Mess Up My Tempo' album drops on November 2 KST. One of the things that makes D.O. so special is his genuine humblness.